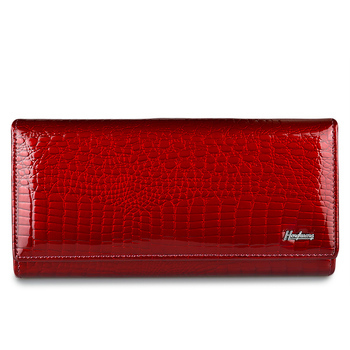 This Women Genuine Embossed Leather Wallet is the perfect gift for someone who wants to stand out from the crowd. Made from genuine cow leather designed with colorful embossed luxury roses that allows it to go with every outfit. 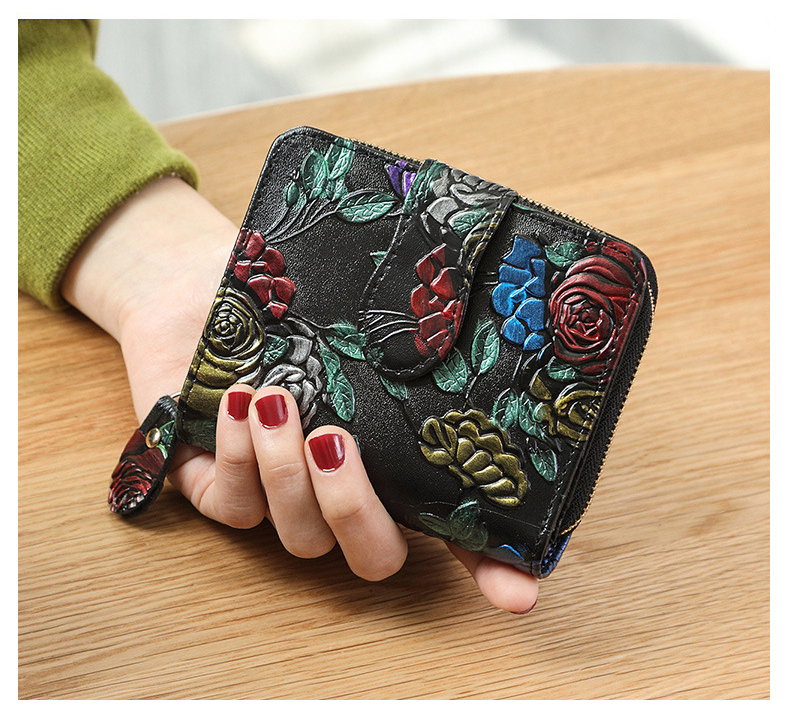 With a width of 9 cm and a length of 11.5 cm, this wallet is the perfect size to fit into small or large bags. The interior comprises a coin pocket and note compartment for all types of money as well as photo holders and card holders all held shut by a zipper pouch. Excellent thank you very much. I had very happy . come quickly .